The Expert Advisor trades during the most quiet night, using various security features and a news filter. The adviser determines the most relaxed period in the market, at which the current overbought or oversold instrument is determined. Advisor's strategy type is night scalping. 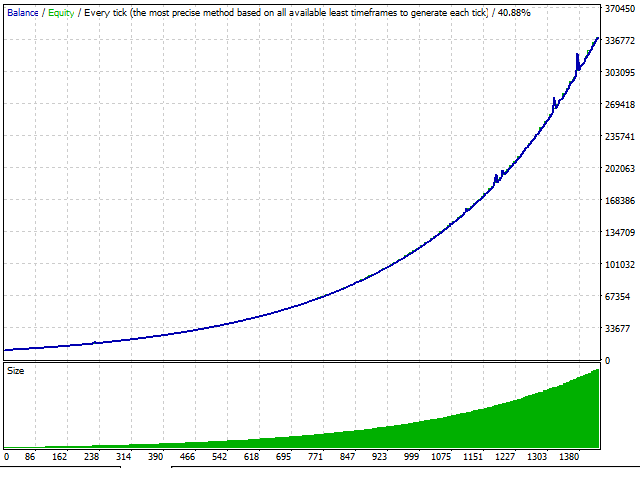 Trading does not use order multiplication, grids, martingale, various averaging and other high-risk aggressive trading. Always use StopLoss. Recommended deposit is from 100 USD. 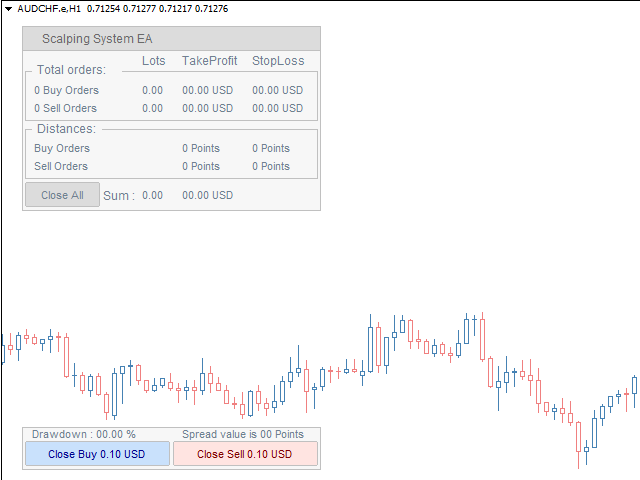 The default input settings are settings adapted for EURUSD on the M5 timeframe. It is advisable to use the adviser on accounts with a small spread and fast execution. Size of the order - the volume of orders to open. Enable AutoLot size calculation - Use automatic lot calculation. "Size of the order" with AutoLot - The amount of deposit for which will be one " Size of the order" when using an autolot. Orders Magic number - EA's MagicNumber orders. Comments of the EA's orders - Comment for the EA orders . Allow to open OP_BUY orders - Allow to send orders of the type OP_BUY. Allow to open OP_SELL orders - Allow sending orders of the type OP_SELL. Allow to open new orders after close - Allow to send new orders after all orders have been closed. Maximum number of orders - The maximum number of open orders. Enable One_order_per_bar filter - enable the limit "per bar - no more than one order"
Size of Virtual TakeProfit - The size of the virtual TakeProfit in points. The TakeProfit countdown starts from the breakeven level of the order group. Size of the StopLoss - The size of the virtual StopLoss in points. The StopLoss countdown starts from the opening price of the losing order itself. NOTIFICATIONS SETTINGS - Enable various notifications when closing orders. End of working time on Fridays - Hour off on Fridays. NEWS FILTER SETTINGS - News filter settings, for inclusion it is necessary to add "" to the allowed links. GRAPHICS SETTINGS - Graphics module settings. RELATIVE STRENGTH INDEX SETTINGS - Settings for the main signal indicator. Отличный советник. Хорошие сигналы, главное не жадничать и тогда он будет приносить хорошую и стабильную прибыль. Bought this because of the good reviews. Lost half of my account. Great support and product. Very happy with it so far. Thank you Alexander, great work. Another great product from Alexander, the back test and logic of this ea looks promising. 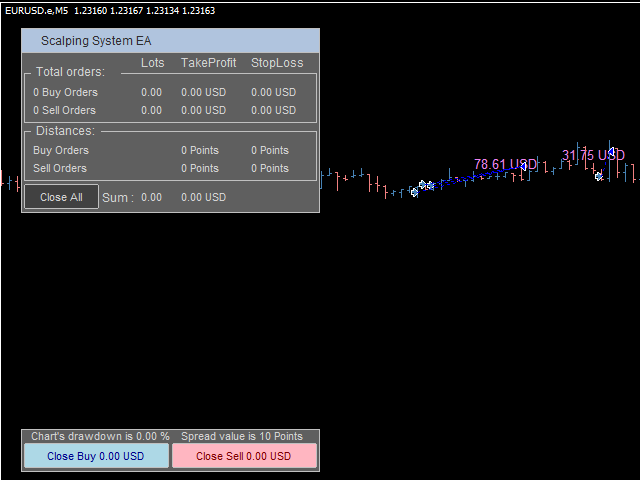 If you like night scalping in silent market this is one of the best ea for you. Again Alexander offers great support and help to all his client.